The weather is quickly turning to chilly, so what better way than to curl up on the sofa with a heart-warming historical romance to spend the afternoon? 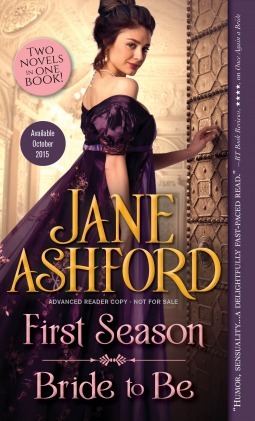 Today I'd like to share with you an excerpt and giveaway of Jane Ashford's recently released duology: First Season / Bride to Be! Read on and enter the giveaway at the end for a chance to win yourself a copy. Two classic Regency romances by beloved bestselling author Jane Ashford celebrate the adventures of a London Season.